Because legumes are packed with amino acids, which are the building blocks of protein and muscle, eating more beans is a great way to boost your muscle health and strength. Of course, they’re not a substitute for working out your muscles, but are a great way to ensure healthy ones. Beans are packed with healthy carbohydrates that boost our energy and help keep it even throughout the day thanks to their fiber and protein content. The fiber in beans largely passes through our intestines, helping to bulk up stools and keep us regular. Once the fiber in beans reaches the intestines, it provides food for many beneficial bacteria there. In other words, it acts as the prebiotics for the probiotics. Because beans contain folate, or vitamin B9, when eaten during pregnancy they help to prevent birth defects in the fetus. Because beans are good sources of the mineral magnesium, they help to ensure a healthy heart. Magnesium helps to relax blood vessels and is involved with regulating the electrical function of the heart. Research published in the journal Vascular Pharmacology found a link between potassium deficiency and erectile dysfunction. Most adults need 4700 mg of potassium, but the average man gets only 3200 mg, making him vulnerable to a potassium deficiency. One cup of cooked lentils contains 731 milligrams of potassium. Beans are rich in compounds known as polyphenols which are potent antioxidants that fight free radicals that are linked to aging and disease. If you’re suffering from hypertension, beans may be just what the doctor ordered. That’s because research shows that a zinc deficiency may be the missing link behind high blood pressure. The study published in the American Journal of Physiology-Renal Physiology found that a zinc deficiency can cause the kidneys to absorb excess sodium thereby increasing blood pressure. 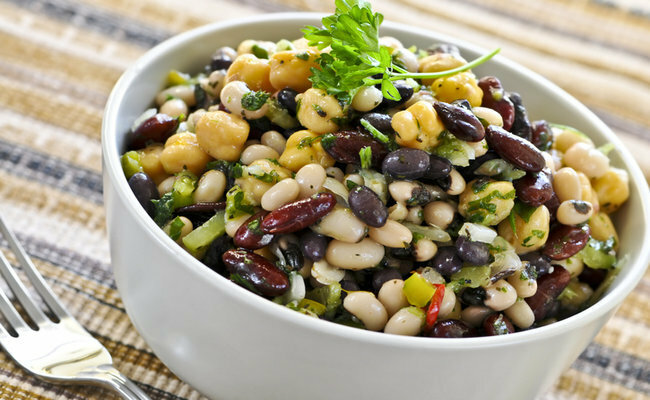 Legumes such as black beans, chickpeas, kidney beans, navy beans, pinto beans, Romano beans, are good sources of zinc. Complex carbohydrates like those found in legumes are needed to ensure the absorption of critical nutrients like tryptophan into the brain where brain cells, known as neurons, can convert the amino acid into serotonin. They also supply energy to ensure the proper functioning of our bodily processes, including serotonin production. Whether you enjoy black beans, chickpeas, lentils, navy beans, or another type of legumes, you’ll want to add more of these foods to your diet to boost your brain health. That’s because beans are an excellent source of complex carbohydrates which are needed in sufficient amounts to manufacture brain hormones known as neurotransmitters. Try to get at least one-half cup of beans daily. You can enjoy them atop a salad, added to soups or wraps, or blended with some herbs and a touch of sea salt for a delicious dip. Legumes like lentils, soybeans and peanuts are sources of the nutrient coenzyme Q10. Low levels of this critical nutrient are linked with lung conditions like asthma and chronic obstructive pulmonary disease. 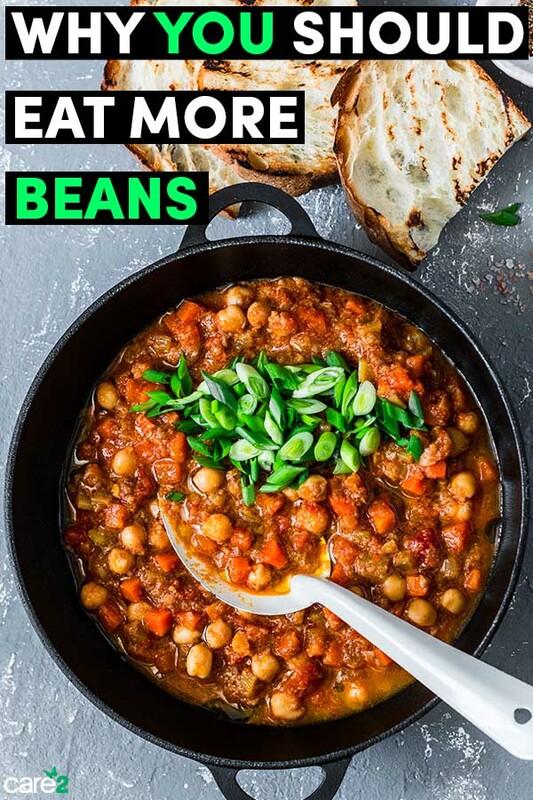 Because beans are high in fiber they help to regulate the speed at which sugar is absorbed into the bloodstream, thereby keeping blood sugar levels stable and even. The combination of coenzyme Q10 and fiber may help to protect the body against diabetes and prediabetes, as well as treat both conditions. Research in the journal American Journal of Clinical Nutrition found that the Mediterranean diet combined with vitamin D helped to prevent bone loss in those suffering from osteoporosis. Legumes along with plentiful amounts of vegetables are one of the cornerstones of the Mediterranean diet. Add more beans to your soups, stews, curries or over salads. Some beans, like black beans, are a great addition to brownies. You can also add black beans or kidney beans to salsa for a delicious treat. Beans can be blended with seasonings like garlic and olive oil, as well as some sea salt for a delicious dip. Aim to get at least one-half cup of legumes daily.